Larus cachinnans? hybrid 2CY 77P2 May 17 2007, Łubna landfill, Poland. Picture: Ruud Altenburg. 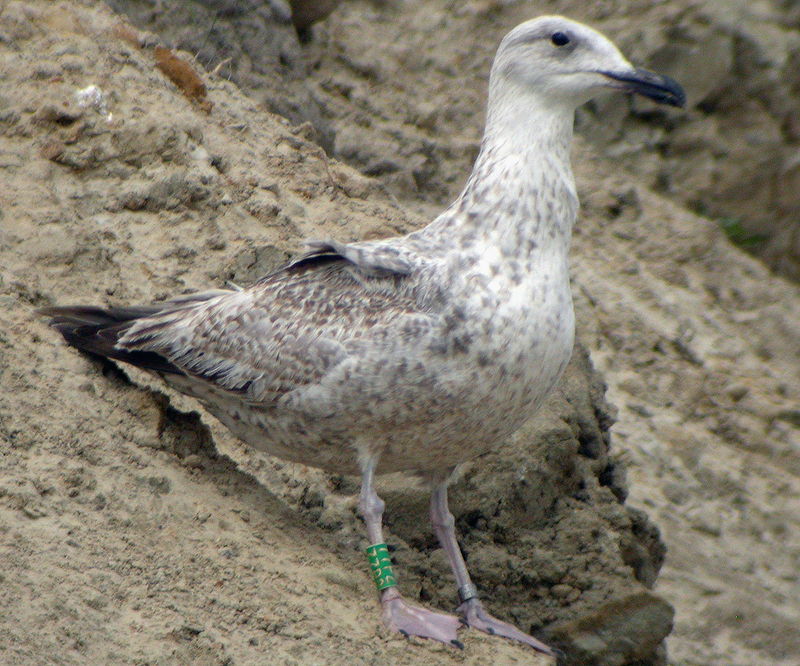 Ringed as a pullus on May 10 and again on June 07 2006 in the mixed colony of Wisla reservoir - Wloclawek, Poland (52°39'N, 19°08'E). 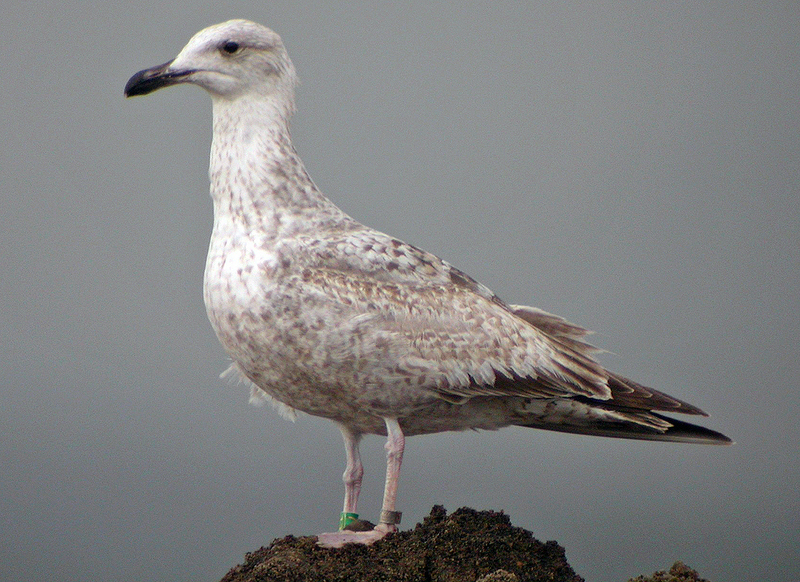 Green 77P2, probable hybrid Caspian Gull L cachinnans x Herring Gull L argentatus, but parentage not known and pictures show a bird that much resembles argentatus. Both plumage and structure indicate that green 77P2 obviously has Herring Gull L argentatus-roots. In the field, it also showed traits of Caspian Gull, even though admittedly this doesn't show very well in the pictures (but note the relatively long wings and bill).